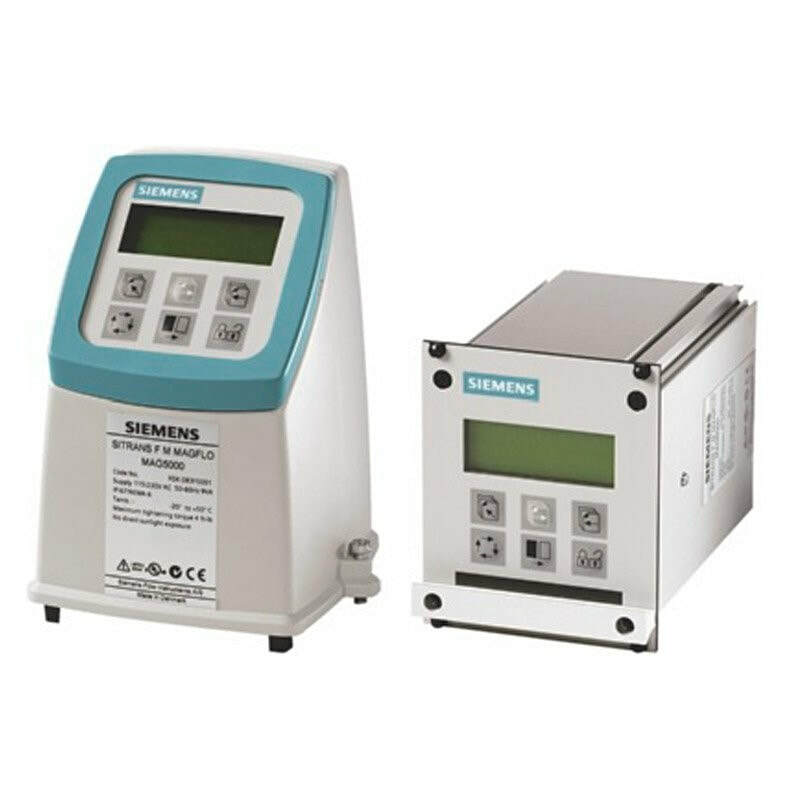 ​The Siemens SITRANS MAG 6000 is a microprocessor-based flow transmitter engineered for high performance, easy installation, commissioning and maintenance. The Magflo MAG 6000 flow transmitter is truly robust, cost-effective and suitable for all-round applications and has a measuring accuracy of ±0.25% of the flow rate (including sensor). Compared with the MAG 5000, the MAG 6000 includes additional features such as plug & play insert bus modules and integrated batch functions. SITRANS MAG 6000 Flow Transmitter with ATEX Option for use with Siemens Magnetic Flow Sensors. The Sitrans F M Magflo MAG 6000 is a high performance, general purpose flow transmitter with a measuring accuracy of ±0.25% of the flow rate (including sensor).